At the end of the workday, I will officially be on vacation for a week. That means extra time to play! It probably also means no posts. Sorry about that. 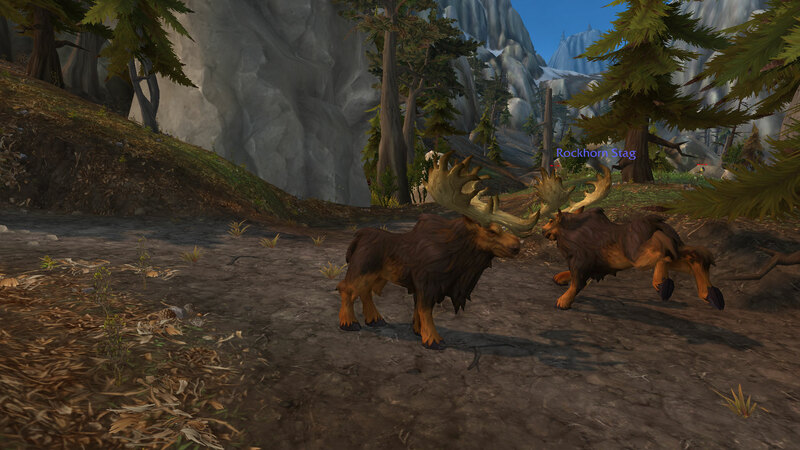 The other day I was browsing Warcraft Pets to see what I had missed so far. (Note to self: remember to visit the ley ruins in Northern Azsuna at night for that manafiend.) I had done all the quests at Bradensbrook, or so I thought, but had totally missed Grumpy in the burning farmhouse! Look at this cute little face, I think he’s my favorite pet so far this expansion, and I missed him! So I quickly read the notes and most suggested getting Fighter Chow food for the quick regen because running through the fire hurts, especially if you stop in the wrong place and are still in it. But it also said there was a clear spot on the landing, and a clear spot around Grumpy himself. 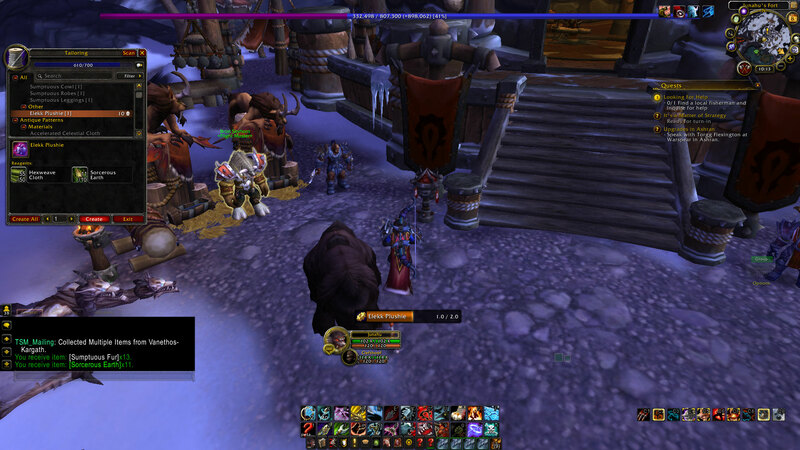 So Hunahuna went and used her answer to all things that cause damage when you run through them … bear form! (If you remember, she used it in her artifact quest to run through the grabby spirit arms instead of using her ranged Solar Beam interrupt to just stop it from being cast.) It worked perfectly, and Grumpy was mine. Yay! I finally got enough hexweave to make my elekk plushie. 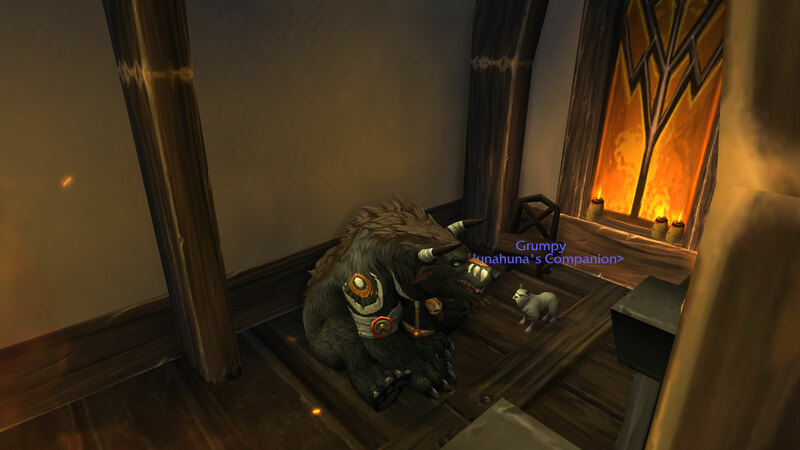 Like everything else in WoD, I derped around and sometimes trapped wolves for fur to make work orders for hexweave, not really making it a focus more of a ‘oh I should ….’ type thing. But last night I got enough so Juna sewed one together real quick. 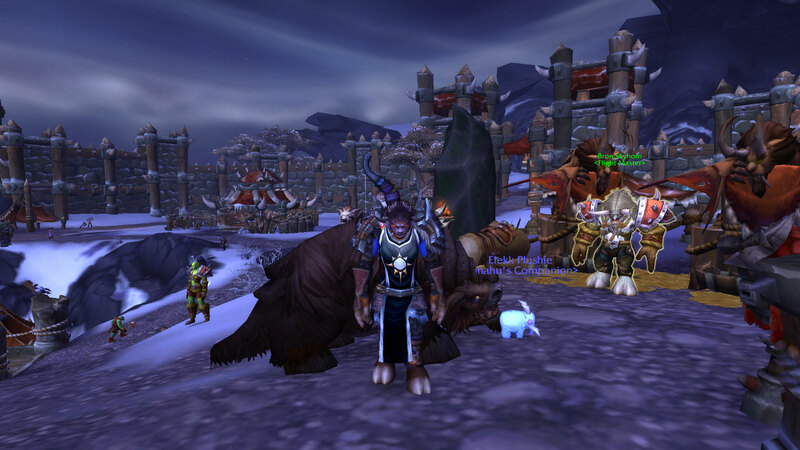 Yes, my tauren huntress is a tailor. What? She looks awesome on her flying carpets. The plushie is super adorable .. even Mr. Clefthoof wanted to cuddle with her. Making it was really the only part Juna had to do, though. She still has her own leveling to work on. 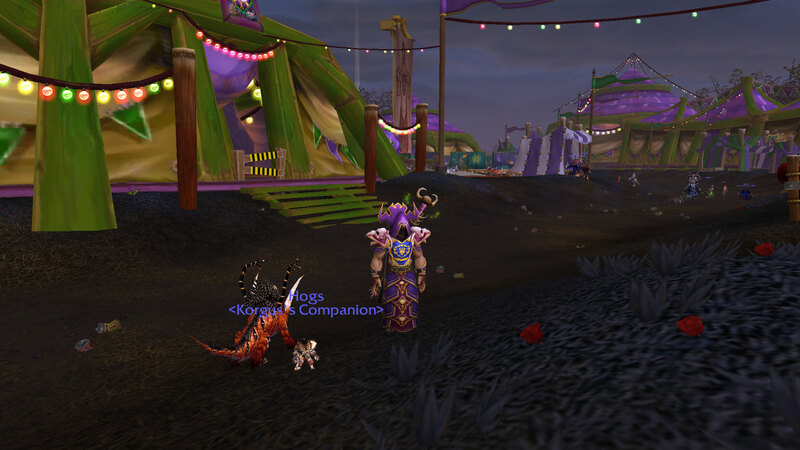 So I logged back over to Van, who was sitting on a stack of pet charms. He bought a battle stone to upgrade her from common to rare. 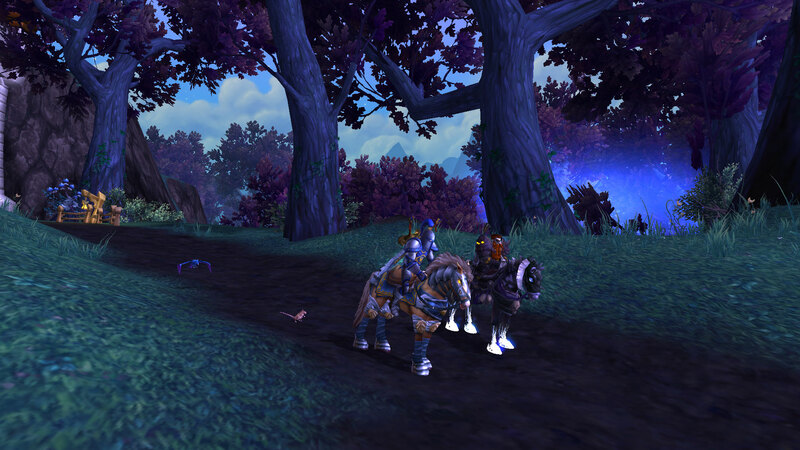 Then he headed out to start leveling her. We took on the two trainers in Winterspring and outside of Karazhan, all of the old Outland trainers, and the trainer in Hyjal since I use the portal through there as a shortcut to Winterspring. By the end of that she was up to level 20 already! So it feels like it is going really fast, but of course the big adventure is definitely going to stall out soon. 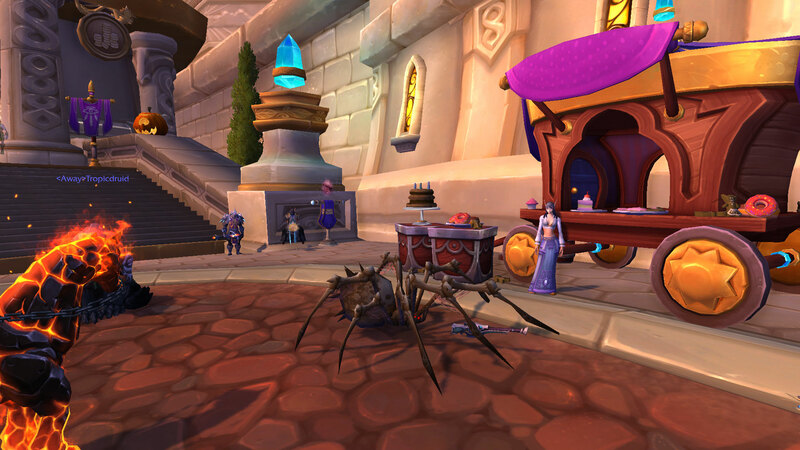 Besides the trainers getting much tougher, some of them are only available at certain times, like the two at the Darkmoon Faire and the ones in the Celestial Tournament. But I got a good start on it so I’m happy for now.